Wondrwall is an intelligent full home automation system that automatically controls heating, lighting, security, safety and music. It includes Amazon Alexa throughout the home. 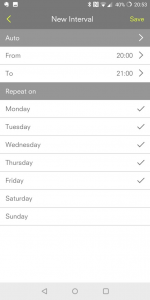 Although Wondrwall includes an app so you can ‘control your home from your phone’, the real difference of Wondrwall is that it uses Artificial Intelligence (AI) – specifically machine learning and predictive modelling – to control the home automatically, WITHOUT you having to tell it what to do. The core of Wondrwall is our advanced light switch housing 13 sensors including temperature, humidity, luminosity, motion, power and sound. 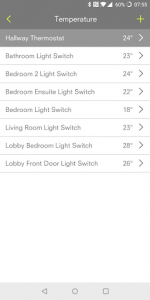 Replacing the standard light switches in the home builds a network of 100-150 sensors throughout the home that monitor habitational patterns as well as the environmental performance of the home. 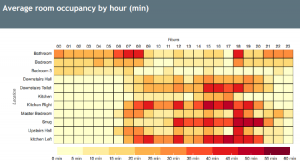 By applying machine learning to this data, Wondrwall can intelligently and automatically control the heating in the home. 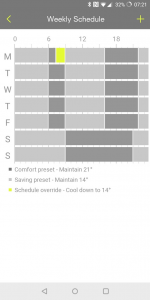 As with traditional heating controls, you can set a schedule for each thermostat or heating zone. This is done via the app and you can define what temperature you want at different times of the day. Each heating zone can be scheduled independently so for example is typical new homes, you can have different schedule for the heating upstairs and downstairs based on when you use that part of the home. This is where Wondrwall differs though. 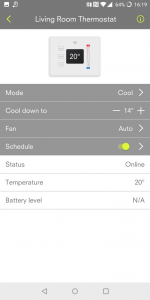 Wondrwall starts learning your patterns and how quickly the home warms up and cools down (including how this is affected by different weather) and starts to override the schedule you set to ensure you are always comfortable while maximising energy saving. An example is probably the easiest way to explain. Let’s say you leave home during the week at 8AM. The Wondrwall system will learn this. It also knows that your home will, say, maintain the ideal temperature for 30 minutes and automatically turn off the temperature at 730AM. This will be highlighted in the app as below. In this case, Wondrwall has reduced energy consumption by 1.5 hours compared to the original schedule. Wondrwall can do the same when you come home. It learns when you typically get home and will schedule the heating accordingly. It goes a step further though and monitors whether you are on your way. If you are delayed, it will pause the heating until you are on your way home. So for example, if you decide to go for dinner or drinks after work, Wondrwall will pick up on this and pause the heating until it detects you are returning home. It is not just about energy saving though. 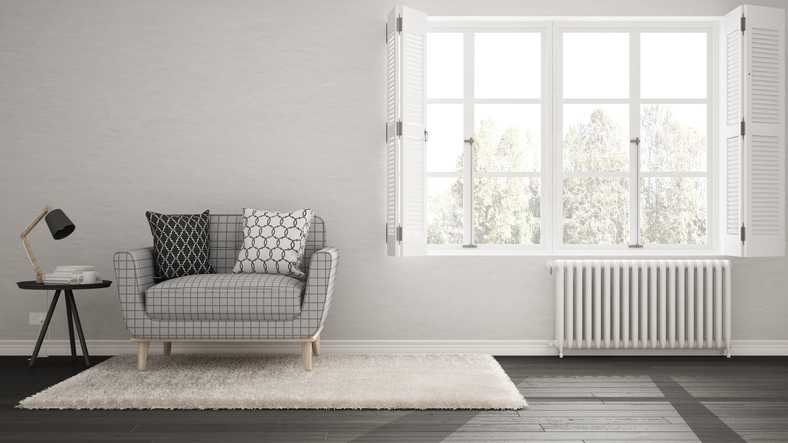 If Wondrwall detects that you have not left the home, or you return home early, it will automatically start the heating to ensure the home is at the ideal temperature for when you get back in. Wondrwall goes a step further even by using the temperature of the room you are in to control the heating. Typically, the thermostat is located in the entrance hally of the home. 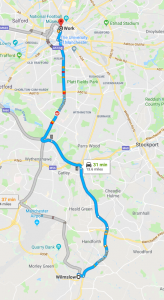 However, when you think about it, this is not the ideal location as typically it is the coldest part of the home and is not somewhere where you spend lots of time. With Wondrwall, we detect the room you are in and use the temperature of that room to control the heating. 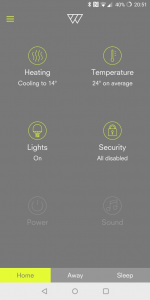 For example, if you are in your kitchen / dining area and the oven is on and it is 24℃, Wondrwall will turn off the heating even though the hallway may be 18℃ and with standard heating controls would still be trying to heat the home. Of course you can override Wondrwall at any time if you want. You can use Amazon Alexa integrated in to every Wondrwall light switch to tell Wondrwall to change the temperature, for example say “Alexa, set the master bedroom thermostat to 24℃”. If you out watching the kids play football on a particularly cold day, you can use the Wondrwall app to increase the temperature for when you get home. 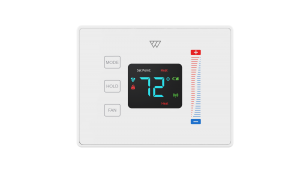 Wondrwall has been designed to work even if the wifi fails — you can manually turn the heating on and off as well as adjust the temperature via the thermostat just as you would with traditional, not smart and not intelligent, heating controls. To find out more about how Wondrwall works, browse our website or get in contact by email (hello@wondrwall.co.uk) or call (0161 5330150).